This post is now over a year old and out of date! Click here to go to the latest wedding price information. We've put together a quick guide to show you some rough figures for the Farm Cafe Catering, so that you can get an idea of things before you start. Weddings come in many different shapes and sizes. Very few are exactly the same. That's why it can be hard for caterers and wedding planners in Melbourne to provide up front pricing. Usually caterers will like to listen to what you're after, learn what your budget is then put together a proposal for you. We're no different. We listen to what you want and then put together a proposal for you. We craft every proposal from scratch. Here's the rough numbers based on recent wedding we have catered for in Melbourne in the last 3 months. There's nothing worse that not enough food. A hearty and delicious 3 course wedding menu costs around $55 to $77 per head for 3 courses. 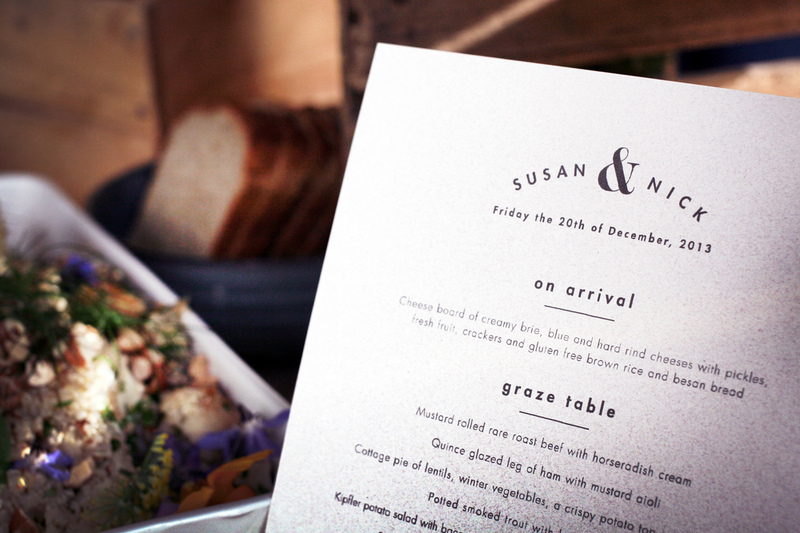 Have a look at our Dinner Grazer menu for details of the kinds of things that can be included. Most caterers will offer a selection of drinks for a per head charge. For a 5 hour alcohol pack that expect to pay around $44 to $55 per head. There is a huge variation in the quality of wine on offer in the packs so make sure you ask for sample bottles. There's nothing worse than being railroaded into drinking a crappy bottle of wine because that's all your caterer offers. Our aim is for you to have exactly the alcohol that you want at your wedding. If you're stumped for ideas - no worries! We can happily tailor a drinks pack for you- with particular focus on local beer and wines. We charge a $22 per head service charge. This covers our licensing, insurance and RSA requirements. We also include standard glassware, a vintage trestle for the bar, a vintage wheelbarrow for a beautiful ice bucket. You select the alcohol that you want, order it and pay for it. Email the details to us and we'll pick it up and deliver it to your function. At the end of the event you keep the left overs. Depending on where you're having your event you pay vastly different amounts for the equipment. These venues are fantastic value as they come with many of the bits and pieces that you'd otherwise have to hire. If you have a tight budget these are definitely worth looking at. 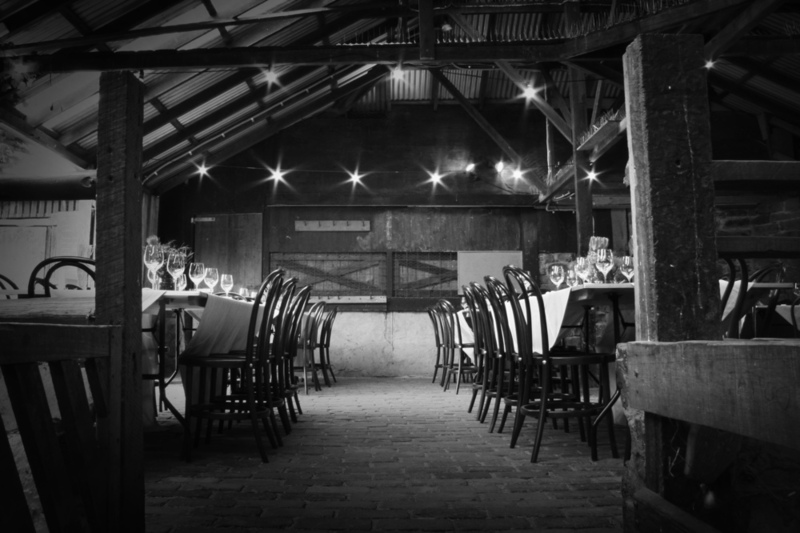 Here's a list of our favourite venues that allow you to run your own event and bring your own catering. Marquee wedding are fantastic. We do lots of them at the Collingwood Childrens Farm and in other parks & gardens. However, the downside is that your rental bill will be large. How large? That depends on the choices you make - but expect to spend a minimum of $5k for all the equipment you'll need for 120 guests. If you're thinking about a marquee wedding - contact us and we'll give you a personal introduction to the best wedding hirers in Melbourne. Ensuring that your event runs smoothly is the job of the team. They'll be there well before your wedding - meeting deliveries and checking everything off. They'll be there well after ensuring that everything is clean and tidy. A lot of the work goes on behind the scenes. Don't attempt to do everything if your budget won't stretch that far. Keep your priorities in mind and let go of stuff that doesn't matter. The best way to get a price that's accurate for your event. We're always happy to have a conversation with you to help share what we have learnt, regardless of whether you end up using our services. Feel free to ask a question in the comments or get in touch.